The most important thing that ASEAN brings to the negotiating table on the Rohingya issue is access to the Southeast Asian market. It is for access to this market that multinational corporations are choosing to move to Myanmar. It is of paramount importance to these companies to be able to increase their share of a consumer pool of over 650 million consumers, who are projected to be spending around $280 billion a year by 2025. This market potential is ASEAN’s greatest bargaining chip, and they can leverage it to bring the genocide in Arakan to a screeching halt. If ASEAN as an organization adopted a policy along the lines of the BDS Movement; essentially declaring that companies investing in Myanmar will not be welcome in the region unless and until the Myanmar regime ceases its military operations against the Rohingya, and begins taking concrete steps to implement United Nations recommendations (including the restoration of Rohingya citizenship); multinational corporations would suddenly have a solid motive to intervene in the conflict, which would almost undoubtedly end the conflict. Technically, such a policy would not constitute a violation of ASEAN’s “non-interference” clause, insofar as the target of the policy would not be Myanmar itself, but companies investing in Myanmar. Theoretically, both the Myanmar government and the companies would still have the choice to maintain the status quo; but practically speaking, this would be no choice at all. A boycott and divestment policy would not legally infringe on Myanmar’s political sovereignty, but it would nevertheless apply an irresistible level of pressure. From a strictly Machiavellian point of view, it is feasible that this strategy could gain traction with the leaders of ASEAN; particularly Malaysia and Vietnam; because frankly, it is in no one’s interest here to see Myanmar develop into a business hub of any kind. 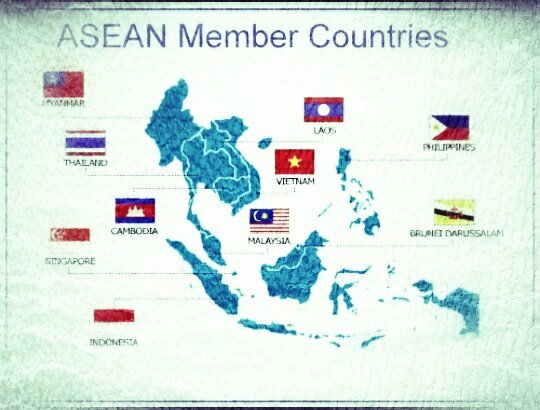 That is probably why we have seen very little from ASEAN in terms of a proactive response. Instability in Myanmar is useful for almost all other regional economies. Adopting a policy that undermines Myanmar’s economic ambitions, while also effectively bringing pressure to bear to stop ethnic cleansing might not be too difficult to sell to ASEAN leaders. If the profitability of their investments in Myanmar was conditional upon bringing the genocide to an end; that is; if they could not make money in the Southeast Asian market while investing in a country with a genocidal regime, multinational corporations would have an incentive to see to it that the regime ceased being genocidal. And yes, they have the power to do that; particularly Chinese companies. If you are thinking that Myanmar will defy corporate pressure to be allowed to continue with the genocide, I think you may not accurately understand the core economic reasons behind the genocide in the first place. It is not an accident of history that the pogroms against the Rohingya coincide with Myanmar’s attempt to integrate into the world economy following the lifting of sanctions, and the central government’s scramble to secure total control over the periphery’s natural resources in order to consolidate their power and establish themselves as efficient collaborators with the global owners of capital. Even amidst the current savage crackdown, the government announced plans to develop a Special Economic Zone in Maungdaw; basically stating the reason for the “clearance” operations in the area. No multinational corporations will be willing to sacrifice access to the ASEAN market for the sake of the market in Myanmar; the only reason they are IN Myanmar is to reach the regional market. This is the greatest weapon ASEAN holds with which they can defend the Rohingya. It bears reiterating though, that even if the leaders of ASEAN will not or cannot adopt such a policy (possibly they may encounter legal issues pertaining to free trade agreements); it is certainly within the power of consumers in the ASEAN region to impose the same policy by their own initiative through their own market choices; this is precisely what the #WeAreAllRohingyaNow Campaign has been recommending, and it is something all activists concerned with this issue should be working on organizing at a grassroots level, with or without the participation of political leaders. أهم شيء يجب أن تطرحه رابطة الآسيان (رابطة أمم جنوب شرق آسيا) على طاولة المفاوضات بشأن قضية الروهينجا هو الوصول إلى سوق جنوب شرق آسيا. فمن أجل الوصول إلى هذا السوق تختار الشركات متعددة الجنسيات أن تنتقل إلى ميانمار، ومن الأهمية القصوى لهذه الشركات أن تكون قادرة على زيادة حصتها من إجمالي مستهلكين يفوق تعداده 650 مليون مستهلك من المتوقع أن ينفقون ما يعادل 280 مليار دولار سنويا بحلول عام 2025. إمكانات هذا السوق هي أكبر صفقة مساومة تملكها رابطة الآسيان، ويمكنهم الاستفادة من هذا السلاح في إيقاف الإبادة الجماعية في أراكان فورا. فإن اعتمدت رابطة أمم جنوب شرق آسيا كمنظمة سياسة على غرار حركة المقاطعة وسحب الاستثمارات وفرض العقوبات (BDS)؛ من خلال الإعلان بشكل رسمي أن الشركات التي تستثمر في ميانمار لن تكون موضع ترحيب في المنطقة ما لم يوقف نظام ميانمار عملياته العسكرية ضد الروهينجا، ثم البدء في اتخاذ خطوات ملموسة لتنفيذ توصيات الأمم المتحدة (بما في ذلك استعادة الجنسية الروهينجية)؛ هنا ستجد الشركات متعددة الجنسيات لديها فجأة دافع قوي للتدخل في الصراع، مما سيؤدي إلى إنهاء الصراع بلا شك. من الناحية الفنية، هذه السياسة لن تشكل انتهاكا لشرط “عدم التدخل” الذي وضعته رابطة أمم جنوب شرقي آسيا، حيث أن هدف السياسة لن يكون ميانمار نفسها، بل الشركات التي تستثمر في ميانمار. ومن الناحية النظرية، فإن كل من حكومة ميانمار والشركات سيظل لديهم خيار الإبقاء على الوضع الراهن، ولكن من الناحية العملية، لن يكون هذا الخيار ممكنا على الإطلاق. فسياسة المقاطعة وسحب الاستثمارات لن تنتهك سيادة ميانمار السياسية، ولكنها ستطبق مستوى من الضغوط يصعب مقاومته. أما لو نظرنا من وجهة نظر ماكيافيلية بحته، فمن الممكن أن تكتسب هذه الإستراتيجية زخما مع قادة رابطة أمم جنوب شرق آسيا؛ ولا سيما ماليزيا وفيتنام؛ لأنه بصراحة، ليس من مصلحة أحد هناك أن يرى ميانمار تتطور إلى محور أعمال من أي نوع. وربما كان هذا هو السبب في أننا لم نشهد سوى القليل جدا من الاستجابات الاستباقية لرابطة أمم جنوب شرقي آسيا. فعدم الاستقرار في ميانمار مفيد لجميع الاقتصادات الإقليمية تقريبا، بالتالي فتبني سياسة تقوض الطموحات الاقتصادية لميانمار، وفي نفس الوقت تضغط بفاعلية على وقف التطهير العرقي قد لا تكون شيئا من الصعب بيعه لقادة الرابطة. فإن كانت ربحية استثماراتهم في ميانمار مشروطة بإنهاء الإبادة الجماعية؛ أي أن لم يتمكنوا من كسب المال في سوق جنوب شرق آسيا من استثمارهم في بلد يتبع نظامه إبادة جماعية، هنا ستجد الشركات متعددة الجنسيات حافز للضغط من أجل إيقاف النظام عن الإبادة. ونعم، هم لديهم القدرة على القيام بذلك؛ وخاصة الشركات الصينية. إذا كنتم ترون أن ميانمار ستتحدى ضغط الشركات للسماح لها بمواصلة الإبادة الجماعية، فأعتقد أنكم لا تفهمون بدقة الأسباب الاقتصادية الأساسية وراء الإبادة الجماعية في المقام الأول. فالأمر ليس من قبيل الحادثة أو الصدفة التاريخية أن تتزامن المذبحة ضد الروهينجا مع محاولة ميانمار للاندماج في الاقتصاد العالمي بعد رفع العقوبات، وتدافع الحكومة المركزية لتأمين السيطرة الكاملة على الموارد الطبيعية للدولة من أجل توطيد قوتها و وتأسيس نفسها كعميل فعال لأصحاب رأس المال العالمي. وحتى في خضم حملة القمع الوحشية الحالية، أعلنت الحكومة عن خطط لتطوير منطقة اقتصادية خاصة في مونجداو؛ مما يشير أساسا إلى سبب عمليات “التطهير والتهجير” في المنطقة. لن تكون هناك شركات متعددة الجنسيات على استعداد للتضحية بالوصول إلى سوق الرابطة من أجل سوق ميانمار؛ فالسبب الوحيد لوجودهم في ميانمار هو الوصول إلى السوق الإقليمية، لذا فهذا هو أعظم سلاح للآسيان يمكن أن تدافع به عن الروهينجا. وأكرر مرة ثانية أنه حتى لو لم يرد قادة رابطة أمم جنوب شرقي آسيا أن يعتمدوا هذه السياسة أو لم يتمكنوا من هذا (بسبب مسائل قانونية تتعلق باتفاقات التجارة الحرة مثلا)؛ إلا أنه من المؤكد أنه سيكون في إمكان المستهلكين في منطقة الآسيان أن يفرضوا هم بأنفسهم هذه السياسة بمبادرة خاصة منهم عبر خياراتهم الشرائية؛ هذا هو بالضبط ما توصي به حملة #WeAreAllRohingyaNow ، وهو نفس الشيء الذي يجب على كل الناشطين المعنيين بهذه المسألة أن يعملوا على تنظيمه على مستوى القاعدة الشعبية، مع أو بدون مشاركة القادة السياسيين. The ongoing escalation of military operations in Rakhine state against the Rohingya is causing a great deal of anguish and panic among those who care about this issue, and that is understandable and appropriate. However, this sense of urgency and desperation may be hindering the development of a practical strategy to address the crisis. We are seeing suggestions that ASEAN should abolish the non-interference clause in their charter, or that Myanmar should be expelled from ASEAN; but these proposals do not include any explanation as to why either measure would be useful. Let’s imagine that you remove any impediment to intervention, whether by scrapping the clause or by expelling Myanmar from ASEAN; what then? It is more or less acknowledged that, in Malaysia at least, citing the principle of non-interference is merely an excuse to avoid intervening. That means there is either no will to intervene, or there is no real capacity to do so. If the excuse for inaction is removed, that will not, in and of itself, create the will to act, nor the capability to act. Do those who advocate these suggestions imagine that Malaysia, or the rest of ASEAN are chomping at the bit, irresistibly longing to, what, send in troops to Rakhine, but are helplessly compelled to comply with the non-interference clause? If the impediment to intervene is removed, do they think ASEAN will let loose a fury of intervention upon Myanmar? What exactly is the action they would propose Malaysia take in the absence of the non-interference obstacle? Let’s imagine that Malaysia takes it upon itself to invade Rakhine to defend the Rohingya. 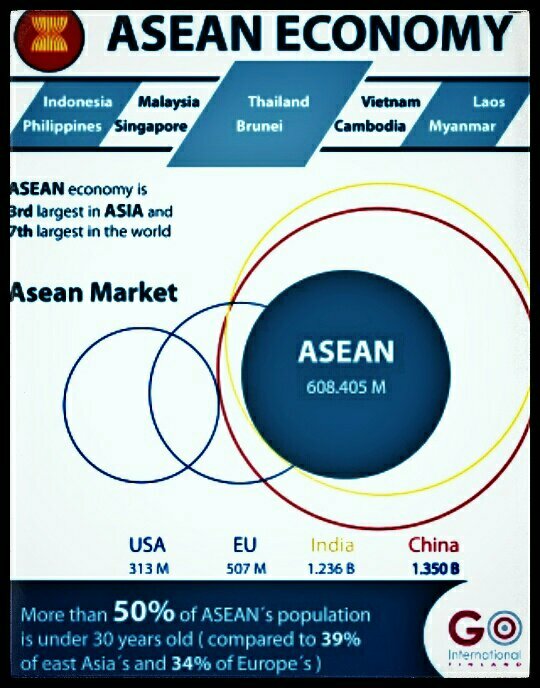 Has anyone thought about the ramifications of empowering one ASEAN country to occupy another, or of occupying even a country banished from ASEAN? Has anyone thought about the impact such a move would have on the stability of Malaysia, and upon the region as a whole? I doubt it. A military intervention in Rakhine would instantly give the ‘benign occupier’ control over Rakhine’s resources; do you think that this would not elicit a response from the international community? From China, from the Arab Gulf states, from the US, from all the ambitious would-be stakeholders in the untapped wealth of Arakan? And if they do not have military intervention in mind, what do they have in mind? I am not saying this to dismiss the ideas, but to hopefully help in the evaluation of them and to crystalise them into proposals that actually make sense. It is understandable that our horror at what is taking place in Rakhine may tend to cause us to have knee-jerk reactions and blurt out emotionally charged “solutions”; but if we genuinely care about the situation, we must maintain reason and practicality, and pursue real viable strategies that can actually make a positive impact. التصعيد المستمر للعمليات العسكرية ضد الروهينجا في ولاية راخين يسبب كربا وذعرا شديدين بين المهتمون بهذه القضية، وهذا أمرا مفهوما جدا. غير أن هذا الشعور بالإلحاح واليأس قد يعرقل وضع إستراتيجية عملية لمعالجة الأزمة. فها نحن نرى اقتراحات بأن على رابطة دول جنوب شرق آسيا أن تلغي شرط عدم التدخل في ميثاقها، أو أنه يجب طرد ميانمار من رابطة أمم جنوب شرق آسيا؛ ولكن هذه المقترحات لا تتضمن أي تفسير للسبب في أن أي من هذين التدبيرين يعتبرا مفيدين. أنا لا أقول نرفض هذه الأفكار، ولكني فقط أمل أن نقوم بتقييمها، ثم نعمل على بلورتها في شكل مقترحات لها معنى. من المفهوم أن رعبنا مما يحدث في راخين قد يطلق لنا ردود أفعال تلقائية ولا إرادية تجعلنا نأتي بحلول مشحونة عاطفيا. ولكن إذا كنا نهتم حقا بالوضع، يجب علينا أن نحافظ على عقلنا وواقعيتنا، وأن نتبع استراتيجيات حقيقية وفعالة ويمكن أن تحقق أثرا إيجابيا.